On the forenoon of a day in February, 1899, the White Star S.S. Cryptic forced her way from pier No. 48 out into the Hudson River through a mass of floating ice, which made a mo…ving carpet over the whole river from Poughkeepsie to Sandy Hook. I was little wonder that the hearts of the outwardbound passengers were cheered with hope; outside on the wide ocean there must be somewhere clear skies and blue water, and perchance here and there a slant of sunshine. Come what might, however, it must be better than what they were leaving behind them in New York. For three whole weeks the great city had been beleaguered by cold; held besieged in the ley grip of a blizzard, which, moving from northwest to south, had begun on the last day of January to devastate the central North American states. In one place, Breckenridge in Colorado, there fell in five days–and this on top of an accumulation of six feet of snow–an addition forty-five inches. In the track swept by the cold wave, a thousand miles wide, record below temperatures were affected, ranging from 15 below zero in Indiana to 54 below at White River on the northern shore of Lake Superior. In New Your city the temperature had sunk to 6.2 below zero, the lowest ever recorded, and an extraordinary temperature for a city almost entirely surrounded by tidal currents. The city itself was in a helpless condition, paralyzed and impotent. The snow fell so fast that even the great snow plows driven by the electric current on the tram lines could not keep the avenues clear. And the cold was so great that the street cleaning operations–in which eight thousand men with four thousand carts dumping some fifty thousand tons of snow daily into the river were concerned–had to be suspended. Neither men nor horses could endure the work. The “dead boat” which takes periodically the city’s unclaimed corpses to Potter’s Field on Hart’s Island was twice beaten back and nearly wrecked; it carried on the last voyage 161 corpses. Before its ghastly traffic could be resumed there were in the city mortuaries over a thousand bodies waiting sepulture. The “Scientific editor” of one of the great New York dailies computed that the blanket of snow which lay on the twenty-two thousand miles of Manhattan Island would form a solid wall a thousand feet high up the whole sixty feet width of Broadway in the two and a half miles between the Battery and Union Square, weighing some two and a half million tons. Needless to say the streets where almost impassable. In the chief thoroughfares were narrow passages heaped high with piled up snow now nearly compact to ice. In places where the falling snow had drifted it reached to the level of, and sometimes above, the first floor windows. As the Cryptic forced her way through the rustling masses of drifting ice the little company of passengers stood on deck watching at first the ferry boats pounding and hammering their strenuous way into the docks formed by the floating guards or screens by whose aid they shouldered themselves to their landing stages: and later on, when the great ship following the wide circle of the steering buoys, opened up the entrance of Sandy Hood, the great circle around them of Arctic desolation. Away beyond the sweep of the river and ocean currents the sea was frozen and shimmering with a carpet of pure snow, whose luminous dreariness not even the pall of faint chill mist could subdue. Here and there, to the north and south, were many vessels frozen in, spar and rope being roughly outlined with clinging snow. The hills of Long Island and Staten Island and the distant ranges of New Jersey stood out white and stark into the sky of steel. All was grimly, deathly silent so that the throb of the engines, the rustle and clatter of the drifting ice pack, as the great vessel, getting faster way as the current became more open, or the hard scrunch as she cut through some solid floating ice field, sounded like something unnatural–some sound of the living amid a world of the dead. When the Narrows had been reached and passed and the flag of smoke from the great chimney of the Standard Oil refining works lay far behind on the starboard quarter; when Fire Island was drooping down on the western horizon, all became changed as though the wand of some beneficent fairly had obliterated all that was ugly or noxious in it’s beneficent sweep. Sky and wave were blue; the sum beamed out; and the white-breasted gulls sweeping above and around the ship seemed like the spirits of nature freed from the thrall of the Ice Queen. In addition to his three collections of short stories, Stoker also wrote a number of uncollected short stories. 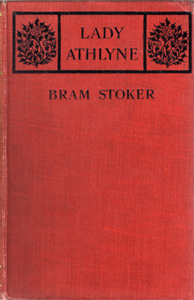 “Where Hall Caine Dreams Out His Romances” was a nonfiction article by Bram Stoker. It was first published in the September 6, 1908 issue of The New York Times. In 2012 it was republished in The Forgotten Writings of Bram Stoker edited by John Edgar Browning. “The Censorship of Fiction” was a nonfiction article by Bram Stoker. It was first published in the September 1908 issue of The Nineteenth Century and After: A Monthly Review, Leonard Scott Publications Co., New York. ‘As vulgar as tragedy was ridiculous! You needn’t laugh, boys and girls – that was when I was young – very young; I know better about both things now. ‘Well, they said at the Conservatoire in Paris that I might succeed if a something-or-other happened to my throat, and that in such case I would be a star, for my voice would be abnormally high. However, the something-or-other didn’t come off, and I had to look for success in a different way. I didn’t know at that time that I had latent those gifts of Comedy and humour which have since then lifted me to my present height in my career. This is all nothing, however; it is only to explain how I came to be an intimate friend of the great cantatrice, Helda, who was a class-fellow of my own. She went up like a rocket, if you like; and the stick never fell till it fell into her grave! In all her success she never forgot me, and whenever she knew I was in the same town, or near it, she always had me to come and stay with her. It was sometimes a nice change for me, too, for things were up-and-down with me. She was a good creature, and was able to take, in a lordly sort of way, all the honours that were showered upon her. But they must have oppressed her now and again; for when I would come to her she would love to pretend that I was the great star, and would make me sit opposite her at dinner, or at supper after the play, when we were alone, all hung over with the magnificent jewels that Kings and Queens had given her. I liked it all at first, but after a few years, when the hollowness of the world had been burned into me, I began to feel it in my inmost heart as a bitter sort of mockery. Of course, I wouldn’t have let her know my feeling for the world, for it would have cut her to the quick; so there was never any change, and the old girlish game went on to the end. ‘”Fritz.” There was no answer.